Snow is a beautiful thing and fun to play in, but it presents a serious challenge when it completely blocks and fills your driveway. So, most of us have to go to work even when it’s snowing and icy, and with our busy schedules these days, forced to struggle with clearing your driveway repeatedly is a real burden. Snow and ice in your driveway can cause accidents and expensive damages not to mention injuries too. Rather, than spend an hour or more shoveling snow to clear your driveway to go to work, a better and safer way is to give us a quick call. Therefore, we have top of the line snow and ice management equipment that will make short work of the snow and ice in your driveway. Coupled with the industry’s best and most proven methods, we’ll have you free in no time. So, you get to stay warm and ready for work inside while we do it. No need to get bundled up or start calling every friend and family you have, hoping they’re not in the exact same situation! 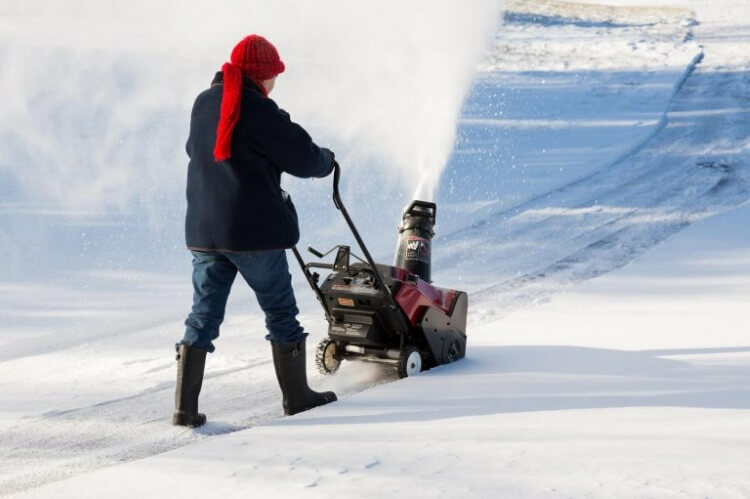 Whether you’re a homeowner who needs residential snow removal or a business owner who needs commercial snow removal, we can take of it quickly and efficiently at any hour. When it comes to ice control, snow, and liabilities, there are a lot of risks for a business owner operating a commercial location but also a lot of risks for the average homeowner. Black ice on your driveway can cause you to lose control while leaving or parking, and you could injure someone seriously. Since, driveways are often made at an incline to help rain runoff to the road, the presence of snow and ice on a driveway present an even more potentially serious menace. It doesn’t matter whether you have a short driveway that goes straight to the road or a long winding one that can handle multiple vehicles and meanders on its way to the public. The safe thing to do is to have your driveway cleaned and cleared of any snow or ice after a heavy snowing. The last thing you need during a winter season is to have a friend, family member, or customer slip on ice while getting out of their vehicle and fall onto the hard concrete. Snow is beautiful and charming, but it can get out of hand. When snow builds up due to a heavy snowfall. It can put a grinding halt to the smooth working of your business by preventing employees from arriving, customers and clients from visiting, and so on. If snow is everywhere, a lot of customers might choose to go somewhere that’s easier and more convenient to get into. Understandably, nobody wants to struggle from their car to the front door. However, a professional snow removal service can keep your driveway clear and safe, making it welcome and attractive to new customers and business. When they see the maintained driveway they’ll know you’re open for business. Using just shovels and rakes to remove snow from even a short driveway is physically exhausting work that can take an hour or more. For a long driveway it can take many hours. Our team of professional snow removal pro’s will arrive equipped with highly specialized equipment and snow plows. So that, we can clear your driveway quickly and effectively so you can come and go as you like. Our snow plowing service will clear your driveway, sidewalks, and so on so you can get the mail or walk to your car without fear of slipping and falling. There’s no need for you to spend the small fortune on heavy, expensive, and high maintenance equipment when you can have a professional service get the job done for a fraction of the price. Brockton, Massachusetts, is definitely known for its rough winter weather and snow storms. We get a lot of snow and it can definitely put a halt on all plans, personal and business. When the weather gets harsh and the snow and ice get dangerous, it’s great to have a team of professional snow removal experts on hand at Brockton Snow Removal. From residential snowing to commercial snowing, to roof snow removal to car snow removal, you can count on us. We’re available 24 hours a day, 7 days a week.